Bell Tower School's Main Street campus houses our first through fifth grade elementary school program. 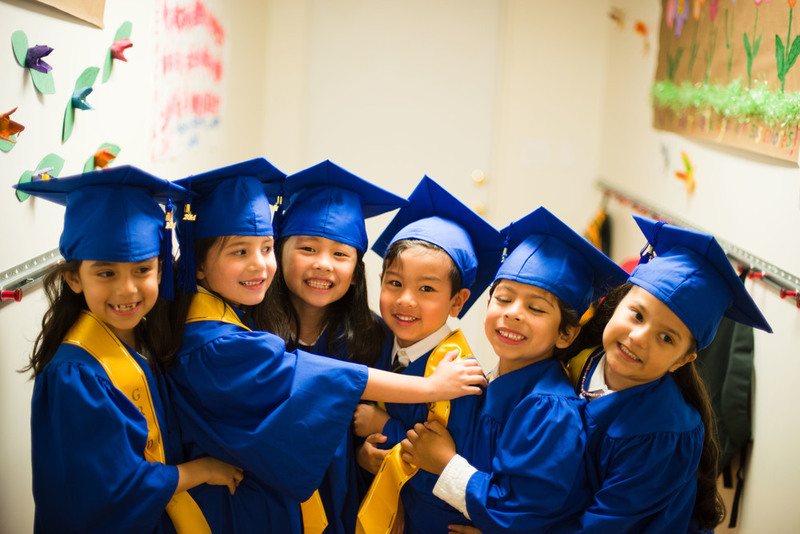 As our founding campus, BTS Main has housed our entire Preschool to 5th Grade program from the Fall of 2007 until Spring 2019. As Bell Tower School's enrollment grows, our Preschool and Pre-K students will moved into our new campus across the street, BTS Huntington, to give our elementary students more space. Our current Elementary program serves one first grade class, one second grade class, a second/third grade combo class, and a fourth/fifth grade combo class. BTS Main students split their classroom time equally among their three different language teachers each day. Along with our strong academic curriculum, BTS Main students also have weekly classes in dance and music, as well as before-school and after-school care and study hall programs. If you'd like to enroll your child at BTS Main, please review our application process and contact us to schedule an appointment to tour the campus. Please note that all interested applicants must schedule a tour and walk-ins are not available.